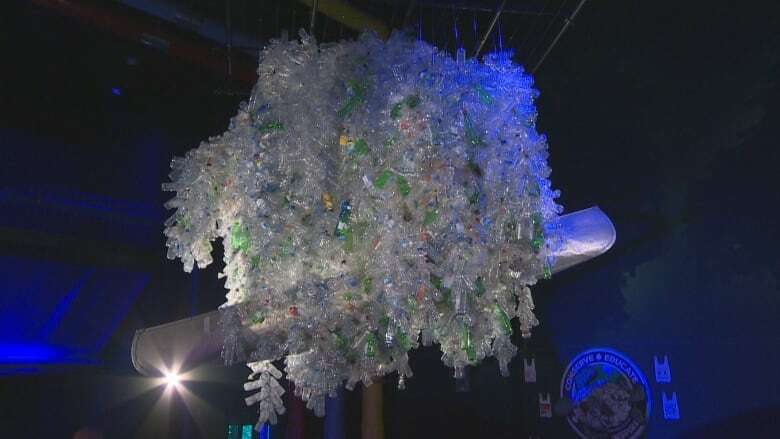 Twelve-thousand bottles strung together, surrounding a canoe, now hangs above all those that walk through Ripley's aquarium in downtown Toronto. "I hope that they see the canoe being overwhelmed by the plastic, and recognize the sheer volume of the challenge. And that every bottle we buy contributes to that challenge," says Rebecca Jane Houston. 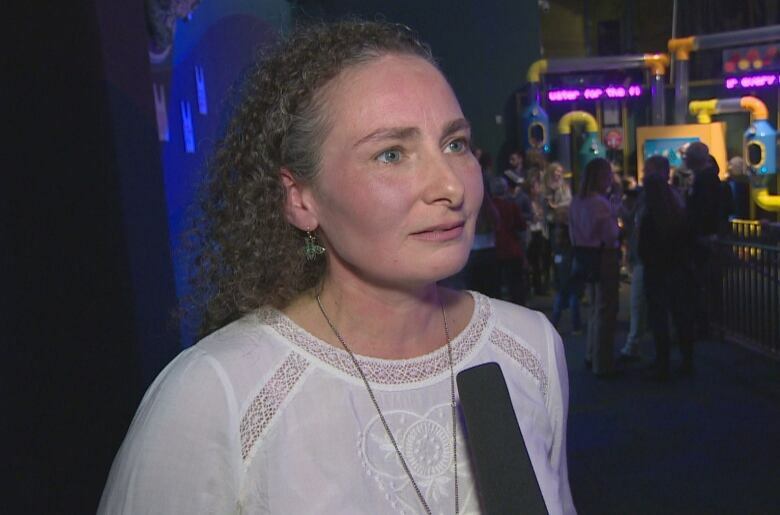 Houston is the Toronto artist behind the sculpture unveiled Wednesday night at Ripley's, though it isn't the first time the work is being seen by the public. It was was displayed outdoors during Pride week this past summer. Environmental Defence Canada, the organization that commissioned the project, thought the aquarium would be a fitting next stop. 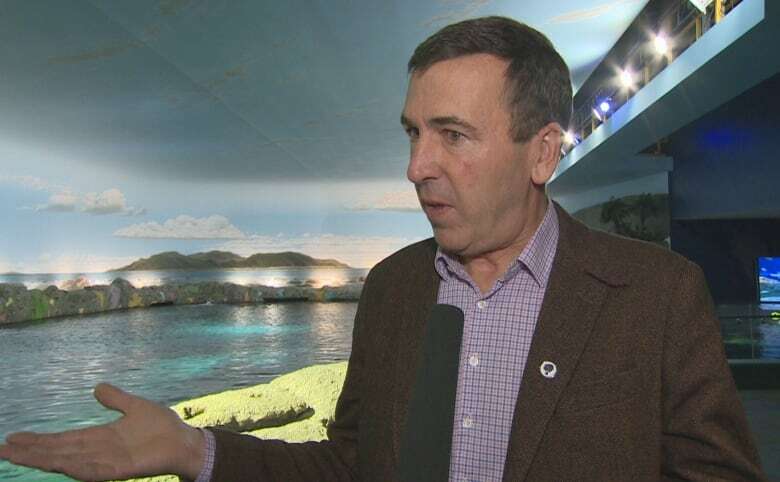 "Ripley's is very concerned about pollution in aquatic ecosystems, and we are very concerned about the problem with plastic bottles because there are over a billion bottles going into the environment in Ontario every year," says executive director Tim Gray. To break it down further, that's about 12,000 bottles thrown out every four minutes, the same number that make up the sculpture. It's a statistic Gray thinks we should all be concerned about. "They get into the water and they break down into little tiny bits of plastic. They end up in the fish, they end up in the mammals, and eventually they end up in our bodies, bringing with them many toxic chemicals," he says. To complete the sculpture, the organization collected empty bottles from people across the GTA, giving them 10 cents for each one. 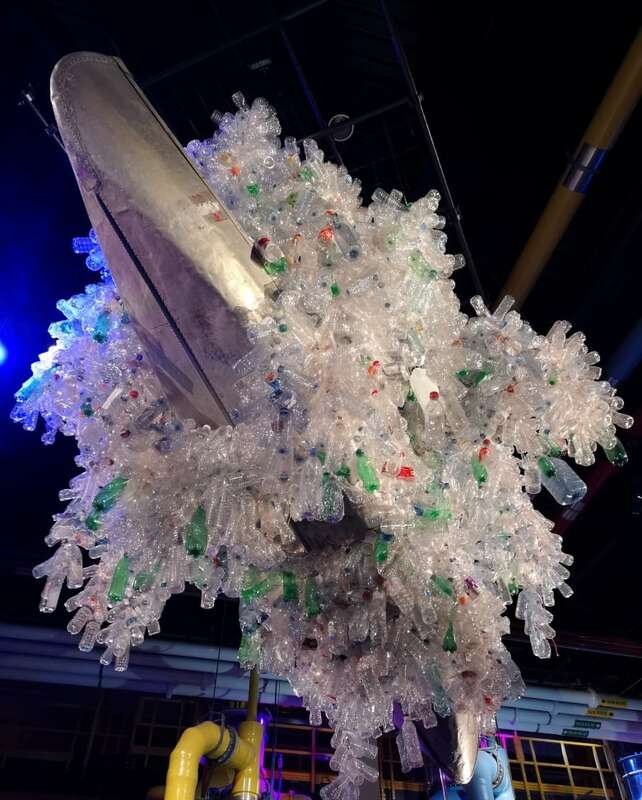 Gray said they collected enough bottles to construct the sculpture in just three days. Ontario and Manitoba are the only two provinces that have not yet adopted this kind of deposit return program for plastic bottles. "The plastic bottle recycling rate in Ontario is very low. It's only at about 50 per cent. That contrasts with provinces that have a depot return program where it's always [above 80 per cent]," Gray says. He thinks a money-back guarantee will drastically improve the Ontario's plastic bottle recycle rate, which is the lowest in the country. Environmental Defence Canada is currently pushing for the province to adopt a deposit system. It has launched the campaign "Cash it! Don't Trash it!" to encourage others to join in their fight, which includes signing a petition to pressure Rod Phillips, minister of the environment, and Premier Doug Ford to take action. Houston believes putting pressure on all levels of government is the most important thing we can do, even more than taking individual responsibility. "We need to really consider the greater political action that we can take, to encourage our autonomous political bodies not to be swayed by industry, and to have a really strong backbone to speak up against industries that are forcing us into this dependance on plastic because it's economically important to them," she said. "What we have to do is speak politically as citizens and not as consumers. And to say, as citizens, we don't want this pollution in our water anymore."